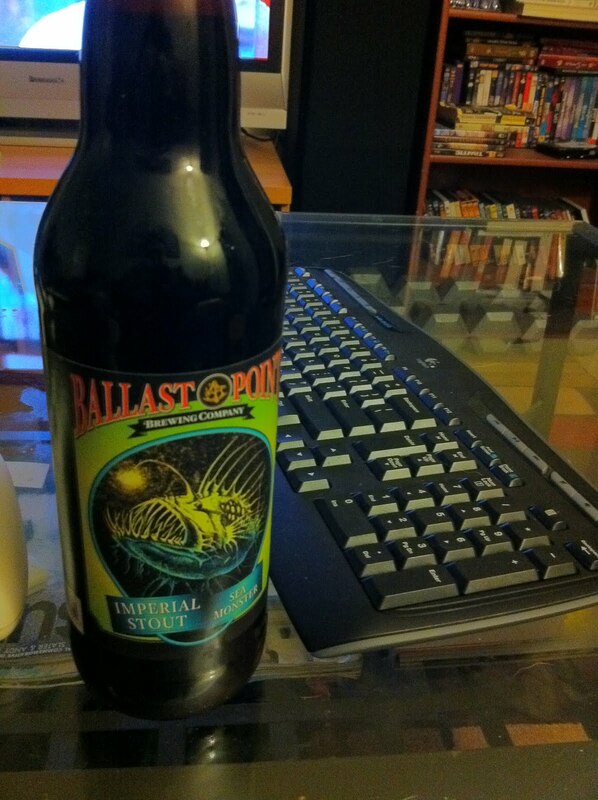 Well as most of you know I am partial to Ballast Point beers, partially because my buddy works there and hooks me up, but also because they produce strong flavored delicious goodness. Sea Monster is no exception and is very popular stout. The alcohol content is low compared to the massive coffee and vanilla flavor. The pour is dark black with a slight red, just a great all around stout. Not the best stout ever but def top 20 and worth checking out. Try to get a hold of one of these that is aged in a bourbon barrel, yum. Just put two in the "cellar". See you in a year Mr. Monster. Nice. My only problem is raiding the cellar when I have been drinking. It's been cleaned out twice.